India should have sent its troops back to Sri Lanka to kill or capture Prabhakaran and the Liberation Tigers of Tamil Eelam leadership after the assassination of Rajiv Gandhi, says a new book by a former US diplomat. 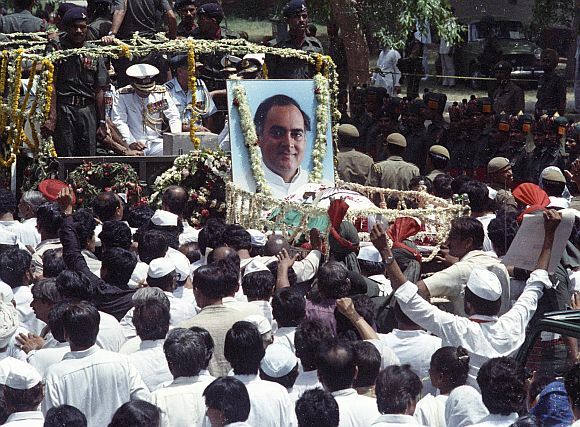 Rajiv Gandhi's killing was an attack on India's status as a regional power. Forcibly bringing Prabhakaran to India to face trial would have sent a clear message to the region, and the world, that India would defend its political leaders from attack, defend its political system from intimidation and defend its primacy in South Asia against any challengers, the author says. A frightened India became content with being a passive regional power rather than active global power, says the book "China's Nightmare, America's Dream: India as the next global power" by William H. Avery, former American diplomat. Avery was on posting in India and served in the US department of state during the administrations of President Bill Clinton and George W. Bush. "India's window of opportunity to influence Sri Lanka will never be as wide open as it was in 1991 after Rajiv's killing", the author says adding that India's craven inaction in Sri Lanka after the assassination cost it valuable years in its quest to become a global power. The events of 1991 that included the shame of having required to sell its gold and killing by a terrorist organisation of its former prime minister were a low point in the history of modern India. Seven years after its annus horribilis, India, however, was able to make its first crucial step towards true power -- the move that stunned the world- and earned India virtually universal approbation. But history has proven India's 1998 nuclear test to have been a wise choice, says Avery. The Pokhran test changed India overnight into a 'front-line' post in the US foreign service. It also made India a much more interesting assignment for an American diplomat, the author says. He says by any measure the 1998 American sanctions on India were a failure. Withdrawn in stages and completely by 2001, the sanctions achieved little other than to make the US feel that it was taking action against India's nuclear test. By the time the decade ended the US had become resigned to a nuclear India. The world is no longer responding to India with indifference. India has the world's attention and respect. Now India must reach out and claim global power status. Doing so will require a transformation of India's economy far greater than that which followed the reforms of 1991, and, a foreign policy far more assertive than that of the past decade, Avery says. 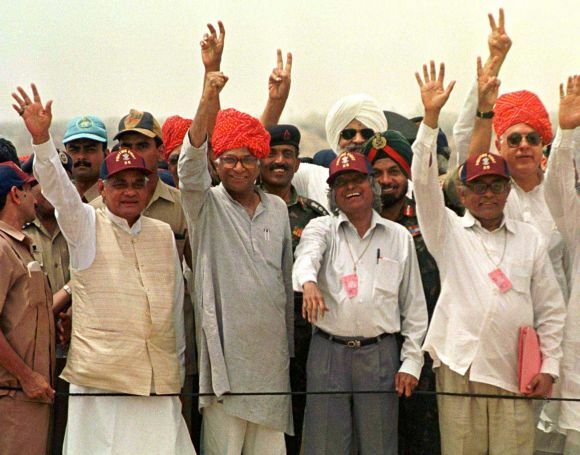 Image: Former PM Atal Behari Vajpayee (L) with then Defence Minister George Fernandes (2nd-L) and scientists A P J Abdul Kalam (2nd-R), head of the DRDO, and R Chidambaram, chairman of Atomic Energy Commission (L) wave to soldiers May 20, 1998 at the Buddha Site, where Indian nuclear tests were carried out the previous week, in Rajasthan. The author says that to become a true global power the Indian economy will have to make a transition from outsourcing to innovation-intensive industries. Its multinationals will have to become truly global companies, with more business outside India than within. Finally, India must develop and implement a more assertive foreign policy one that backs talk of great power status with military might and willingness to use it. 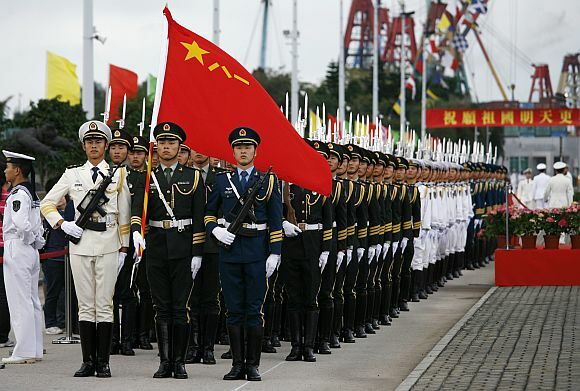 "China has no such timidity in its foreign affairs. In addition to the port in Sri Lanka, it is also helping expand the Pakistani port of Gwadar and Chittgong port in Bangladesh. China has also requested Burma to allow its warships to dock at Burmese ports, which, if approved would give China naval access to Indian Ocean', the author says. The author notes that all the rich countries in the world have had their time in demographic 'sweet spot'. Europe was there in the eighteenth century. The United States in the nineteenth. Japan in the early twentieth. China in the 1980s. Now, it is India's turn, he says. The book says that with their economies trailing off, the United States, Europe and Japan have only one choice if they are to increase or even maintain their standards of living -- they must export to where the growth is today. "Number one on their list of markets will be India. The big prize in the next 50 years will be Indian customer, not the Indian supplier", he says. China will also be a big market but not the first, the book says. Avery, however, cautions that India today is falling into the colonial trap. Imperial England's economic policy was simple: import raw material from the colonies and export manufactured goods from England. The difference today is India's 'raw material' is services, not goods. The export of these services -- outsourcing -- represents the single greatest limitation on India's growth. Two centuries ago, the United Kingdom used Indian cotton as raw material to run its textile mills and strengthen its industrial base. 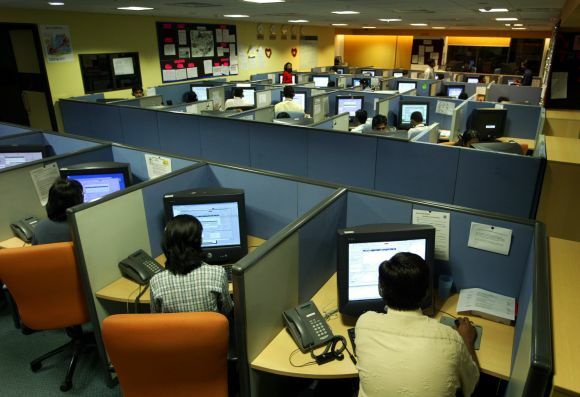 Today, the US uses Indian IT services to run its software products and strengthen technology base, he says. The effect, the author says, is the same: a colonial style enrichment of other nations, at India's expense. Avery says that there was every indication that bilateral relations would continue to strengthen rapidly with Barack Obama replacing George W. Bush. After all, Manmohan Singh and Bush had been, for all their success, an unlikely pair: the soft spoken economic professor and the brash cowboy. "It was tempting to wonder as Obama began his presidency, the author says: "If the cowboy and the professor could produce the nuclear deal, what even greater things can the two professors achieve?" "The professors have been in charge and it shows. The first three years of the Obama-Singh era have resembled a long-term academic seminar on growing strength of the Indo-American relationship. Somewhere along the way, however, the world stopped listening. For all the words that Singh and Obama put forth about each other and the bilateral relationship, it turns out that they were missing one important thing: action", the book says. The strength of the Indo-American relationship depends not on which party is the White House, but instead on the quality of leadership in both, White House and Delhi. 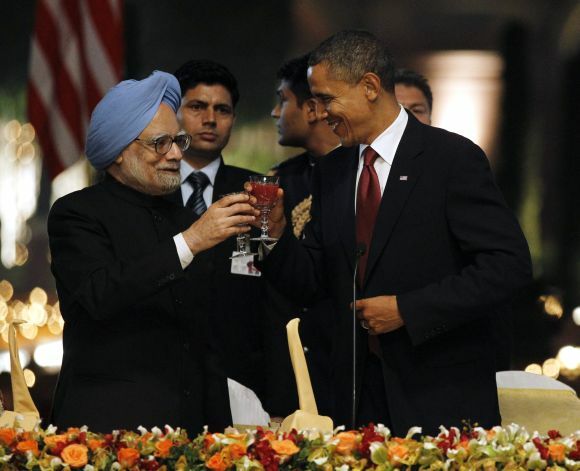 The Indo-American relationship under Singh and Obama is drifting. Happily, it is not yet too late, but there is no time to spare!, the book says. When the Lankan Titanic ran into Iceberg Dhoni!